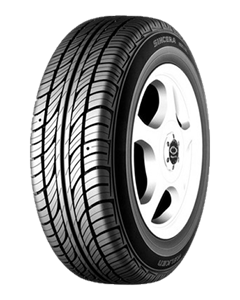 The Falken SINCERA SN828 Series focuses on economy, comfort and durability, making the SINCERA SN828 the perfect choice for cost conscious drivers. This low-noise tyre features outstanding directional stability even at high speeds, and the new compound with added silica provides significantly improved aquaplaning resistance. A special benefit is the Special Eyes wear indication system. Special Eyes are small depressions in the tread which change shape to show the degree of wear, thus warning drivers of the need to rotate the tyres. The system ensures even tyre wear and increases the total mileage of the tyres. The new silica mixture optimises the performance on wet roads and increases wear resistance. Easy handling and excellent stability at high speeds.